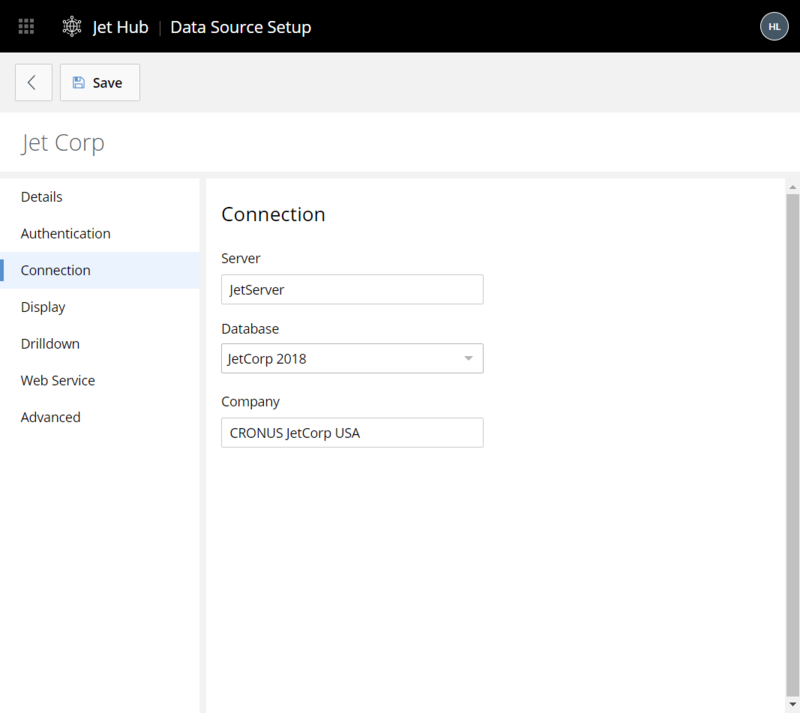 You can define a data source connection to Dynamics 2013-2018 from directly within Jet Hub. 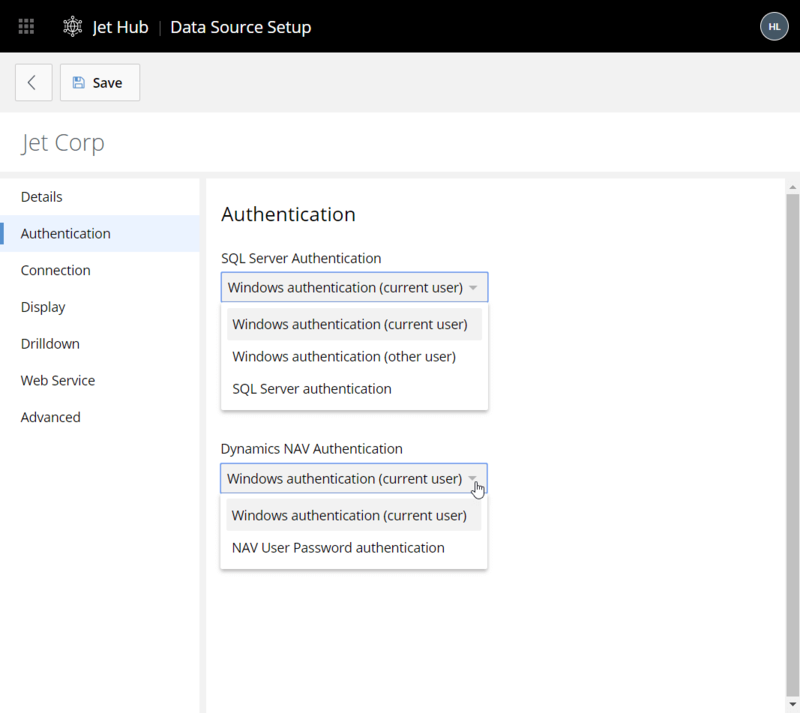 Specify the user credentials needed to connect both to the SQL Server as well as to Dynamics NAV. 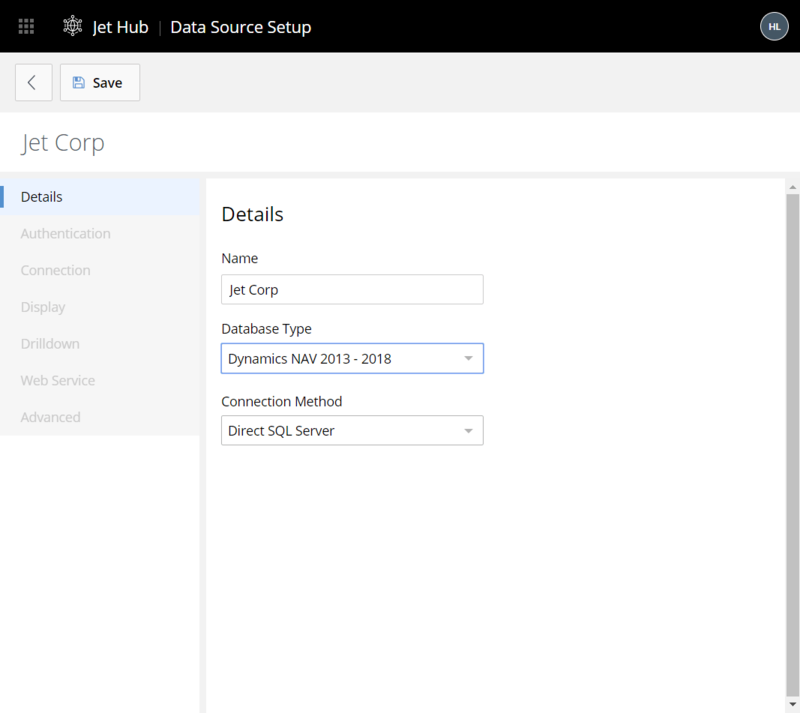 Specify the Server name where the NAV SQL database can be found. 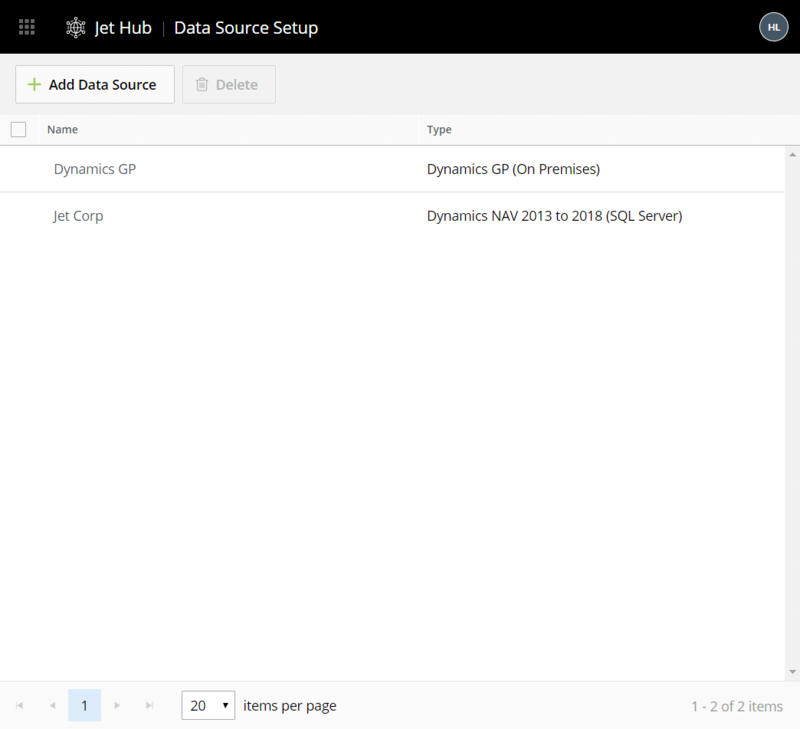 Select the name of the NAV SQL database.